The Baltimore Orioles are trying to prevent getting swept by the A.L. East leading Tampa Bay Rays. 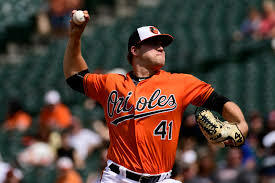 Andrew Cashner will take the mound for the O’s. Here are your starting lineups for tonight’s game!